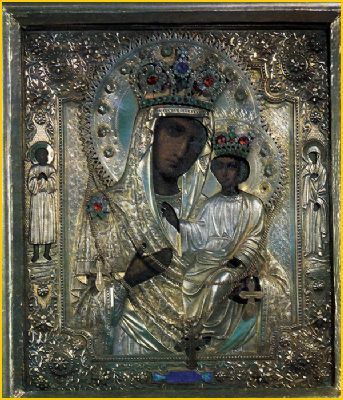 The Tambov Icon of the Mother of God was manifest in the year 1692. Before its glorification it was situated in the Tambov cemetery church in the name of the holy ArchDeacon Stephen. The icon was taken from the cemetery at the request of a certain seriously ill person. It had been revealed to him in a dream, that he would be healed, if a molieben were served before this icon. After fervent prayer of a molieben for the sick, he was healed. The celebration of the icon was established by decree of the MostHoly Synod on 29 March 1888.